Gain mastery in this very powerful application! Learn to automate real business procedures and maximize the feature set! In this 3-day instructor-led SharePoint Power User course, students will learn how to use SharePoint Designer effectively in all its roles with SharePoint. Students will learn the core fundamentals of SharePoint Designer as a tool to create and manipulate SharePoint Lists, Libraries, Content Types, Pages, Web Parts, External Content Types and more. Plus, dive into the core fundamentals of SharePoint Designer – plan, create, configure and deploy Custom Workflows and work with external content types per business requirements. Explore SharePoint Branding and create and apply a Custom Composed Look in SharePoint Designer. Note: All labs are done using SharePoint Designer 2013 in a SharePoint 2016 on Premise Lab environment. This course is applicable to the following versions of SharePoint: SharePoint 2013, SharePoint 2016 and SharePoint Online via Office 365. 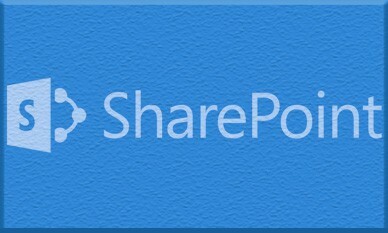 Currently SharePoint Designer 2013 is the tool to be used for these versions of SharePoint. An overview of the pieces of the SharePoint Puzzle. In this module, we review each of the components that play a central role in SharePoint from the perspective of the user who will be working with SharePoint Designer. Instructor-Led Lab: A journey through the lab environment. An overview of the existing site collections and sites using both the SharePoint Management Shell, Central Administration, the Browser, IIS Manager and SQL Server Management Studio. The current version of SharePoint Designer is a very powerful tool. It is quite different from its predecessors, SharePoint Designer 2007 and SharePoint Designer 2010. This module covers downloading and installation of SharePoint Designer including what to look out for during this process. Next we will explore the User Interface at a high level including the ability to customize the user interface for a particular user’s needs. We detail the core components such as the Ribbon, Navigation and Content areas that make SharePoint Designer a powerful tool. We cover the settings pages that allow for observation as well as configuration of certain SharePoint components including the Code View and the absence of the What You See is What You Get (WYSWYG) user interface that takes many users by surprise. Lab: Students will install and configure SharePoint Designer. They will then review the lab environment and connect to an existing Team Site and an Existing Publishing Portal and comparing the differences. Then students will complete the lab with a review of the Settings pages and user interface. SharePoint Designer can be used to create many of the same things you would do in the browser. You can use SharePoint Designer to create and configure many of the same artifacts you create through the browser. We will look at the fundamental difference between Collaboration and Publishing artifacts and Libraries and take a look at samples of both. Finally the Module completes with a Lab where the topics covered are reinforced with actual hands-on experience. Lab: Students will create a new site and then populate it with Lists, Libraries and Pages. Students will add several web parts to different pages including code snippets to create custom pages that leverage JQuery, XSLT, and JSLink. (Students will not write any code, the snippets will be provided). Finally, students will implement a structural design according to Business Requirements and use SharePoint to build a Custom Classroom management and collaboration solution. SharePoint Designer is the tool used to create what are referred to as Custom SharePoint 2010 Workflows. These are the same powerful workflows supported in SharePoint 2010. SharePoint Workflows can take advantage of a different fundamental architecture which allows for greater scalability. Some SharePoint Farms deploy Workflows while others do not. Either way, Custom 2010 Declarative Workflows created with SharePoint Designer are supported. Lab A: Students will create, deploy and test a simple SharePoint 2010 Custom Workflow at the List / Library level. Lab B: Students will create and deploy a re-usable SharePoint 2010 Custom Workflow. Lab C: Students will create and deploy a Globally re-usable SharePoint 2010 Custom Workflow. Lab D: Students will review business requirements and then explore the process of planning, designing, building and implementing an entire solution using SharePoint 2010 Custom Workflow to create solutions to meet business requirements. Lab A: Students will create, deploy and test a simple SharePoint Custom Workflow at the List and Library level. Lab B: Students will create and deploy a reusable SharePoint Custom Workflow. Lab C: Students will create and deploy a looping SharePoint Custom Workflow. Lab D: Students will review business requirements and then go through the entire process of planning, designing, building and implementing an entire solution using SharePoint Designer Custom Workflow to create solutions to meet business requirements. Lab A: Students will learn how to create connections to external systems and bring the Line of Business Data to SharePoint. Students will learn to utilize SharePoint to set up the connections and create allowed operations on external systems using the SharePoint User Interface. Finally, students will use several Web Parts in the Business Data Category to create interactive solutions. Lab B: Students will create External Content Types that are mapped to an Office Contact Object. Lab C: Students will connect to a Publishing Site and use Design Manager in order to understand how to apply a custom Master Page in SharePoint. This course is recommended for SharePoint Power Users who have access to SharePoint Designer. Before attending this course, students should have experience in SharePoint Site Collection administration as found in the 55033: SharePoint 2013 Site Collection and Site Administration course. Understand the SharePoint Branding Landscape and the Role of SharePoint Designer in it. "Showing the Farm Administration side was helpful in understanding how things work "under the hood." Please keep doing this." "Spike is awesome. Very responsive to students and enjoyed his class. Very knowledgeable." "The 3-day class was fantastic! Thank you! I needed both the refresher materials – especially workflows – as well as some best practices info this class offered." "Spike is very friendly and always open to questions or providing help to the students."